We created a film for Breastcancer.org highlighting why breastcancer.org is the go to web destination for women with breast cancer. 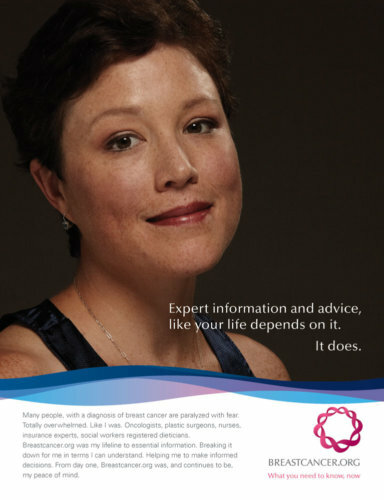 Shown at the Breastcancer.org 10 year celebration, the footage was re-edited to create public service announcements. 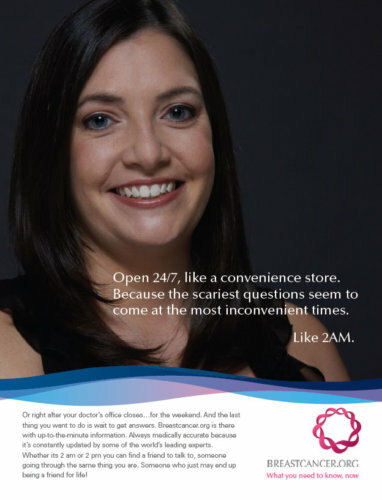 Later featured on the Breastcancer.org website, the film was downloaded so many times in week one that it crashed the site. 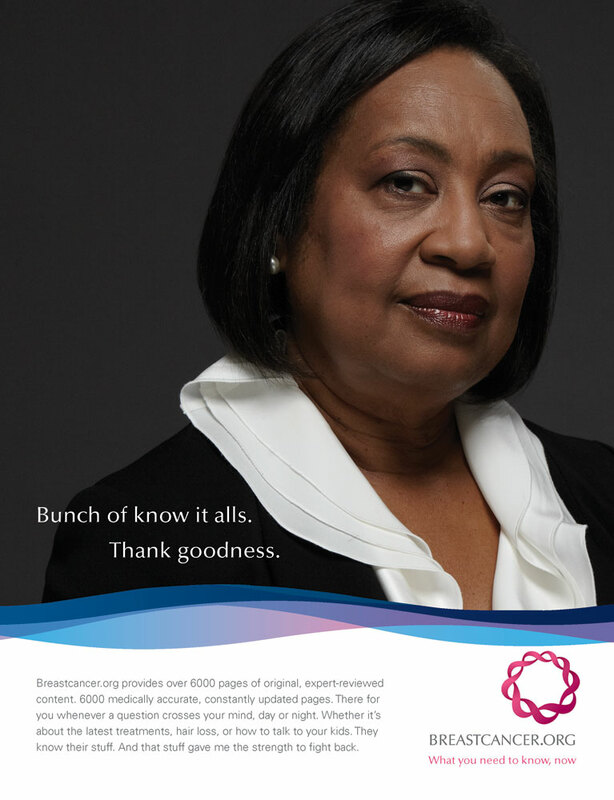 A print campaign featuring the women in the film was also shot. Gold winner for special video production – National Healthcare Advertising Awards.